Given the sad and unexpected news of Nora Ephron's passing yesterday, I think I'll be making her mashed potatoes tonight pay tribute and ease the heartache. 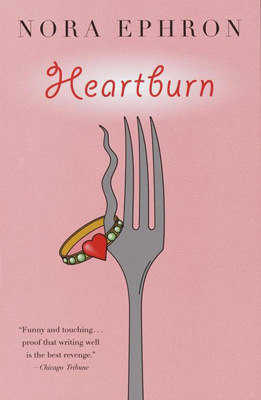 So, I'm reading Nora Ephron's 1983 novel Heartburn -- I think I'm the last person in America to realize that Ephron was a foodie long before Julie & Julia -- and the book is filled with love and longing and heartbreak and food. Lots of food. The main character, Rachel, is a cookbook writer who is dealing with the discovery that her husband has been having an affair with a mutual friend. Oh, and Rachel and her husband have a baby together and are expecting another one when the affair comes to light. Oh, and this book is a thinly-veiled portrayal of what happened between Ephron and her ex-husband Carl Bernstein (yes, THAT Bernstein), right down to Ephron being 7 months pregnant when she learned of Bernstein's affair and later going into premature labor. Anyway, all that horribleness aside, Ephron's funny-sad novel is seeded with a bunch of quick recipes, all of which weave naturally in and out of the plot. Among others, there's Lillian Hellman's pot roast, Rachel's closely guarded vinaigrette recipe, and the Key lime pie Rachel ends up throwing at her husband's cheating face during a dinner party. However, the one I zeroed in on was her mashed potato recipe. It wasn't so much the recipe that resonated with me as it was Ephron's explanation of why mashed potatoes are so necessary to life. Nothing like mashed potatoes when you're feeling blue. Nothing like getting into bed with a bowl of hot mashed potatoes already loaded with butter, and methodically adding a thin cold slice of butter to every forkful. The problem with mashed potatoes, though, is that they require almost as much hard work as crisp potatoes, and when you're feeling blue the last thing you feel like is hard work. Of course, you can always get someone to make the mashed potatoes for you, but let's face it: the reason you're blue is that there isn't anyone to make them for you. As a result, most people do not have nearly enough mashed potatoes in their lives, and when they do, it's almost always at the wrong time. That whole bit reminded me of the mashed potato recipe in my Friends cookbook. (Yes, I have the Friends cookbook -- you wanna make something of it?) In that cookbook, the recipe is called "Mashed Potatoes for the Broken Hearted" and carries the note, "These fluffy, smooth potatoes (with plenty of sour cream and butter) have been known to mend even the most fractured heart." What is it about mashed potatoes and comfort and soothing? Is it that their bland simplicity makes them non-threatening, and therefore calming, to the palate? 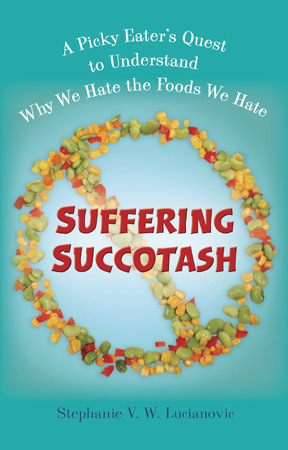 That they are merely a vehicle for butter, salt, and/or sour cream and we crave fattening foods when at our lowest points? That they remind us of home and childhood when life was easier? I don't think I can answer these questions, but I do know that a big pile of mashed potatoes on my plate never fails to raise my spirits and warm my cockles. And on chilly grey days and dark sharp nights, mashed potatoes are one of those foods that I want to crawl into and pull up around my shoulders. First, there's Fatemeh's "Party Potatoes" that come from her husband's "Irish-ish" grandmother and are known to contain butter, sour cream, AND cream cheese. And then there are the mashed potatoes Kim's husband Keith made for last year's Burns Night. It was my first Burns Night, my first haggis, and my first taste of Keith's potatoes. Both of those sets of mashed potatoes? God's shaving cream. After finishing Heartburn well after midnight last night, I went to bed feeling quite melancholy for Rachel. I didn't cheer up until the next morning when I found out that Ephron's been happily married to screenwriter Nick Pileggi for twenty years. I hope he makes her lots of mashed potatoes.